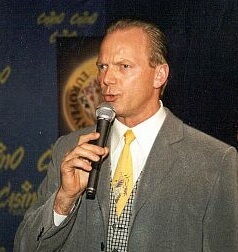 (rs) On the occasion of the Freezeout tournament in the Casino Ray in Helsinki which took place from 11.12.-16.12.2001, were also awarded the European Poker Awards 2001. The Casino Ray in Helsinki was the first official venue of the European Poker Awards 2001. The Casino sponsored the honors and invited also the nominated pokerplayers into the hotel and into the casino at its expense. A Freezeout tournament formed the framework of the event, in which the award was held. Monday was the day of the supersatelittes for the large tournament Texas Holden No Limit (1.700,- EUR, 10.000,- FIM). Already on Tuesday it went into the first round with Texas Holdem Limit (Buy In 85,- EUR) which was very well filled with 110 players. The lucky winner Sergei Pevzner (Russia) could call a prize money of 9.169,- EUR his own, after a long fight that lasted up to 3 o’clock in the morning. The Omaha Pot Limit tournament (Buy In 340,- EUR) was with 66 players just as well filled and the winner Marcel „The Award“ Luske could take a prize money of 20.714,- EUR with home. Also on Thursday the interest in the Seven Card Stud Limit tournament (Buy In 340,- EUR) was very enormous and the daily out-played final lasted far into the early morning, whereby finally Gary Bush (England) became the radiating winner who got a prize money of 16.499,- EUR. As a new record to their 10th anniversary became then the large Texas No Limit Freezeout tournament (1.700,- EUR) for the Casino Ray. 61 players participated and there was a prize total of 610.000,- FIM to win. It was played up to the nine finalists and then on the next day the final of the best placed players was played out. It was a packing and exciting final. The last three participants Jimmy Lettice (Scotland),Bruno Fitoussi (France) and Olli Pekka Karlsson (Finland) fought over 2 hours until finally Olli Pekka Karlsson became surprising the radiating winner who received a prize money of 37.163,- EUR as victory premium. Also the Texas Shorthanded Freezeout tournament (Buy In 850,- EUR) was greatly in demand. Here five players played against each other up to the finaltable of the last 5. 56 players participated and the winner Ivo Donev (Austria) could be pleased about a prize money of 20.747 €. On the last day, Sunday, the 16th december, the traditional Scandinavian 5 Card Stud Pot Limit (Buy In 170,- EUR) took place. 83 pokerplayers participated and fought for the substantial prize money of 286.000 FIM, which came 17.424,- EUR as victory premium for the first placed player L. Khajuria . Hans Pfisterer (Switzerland) received the excellent fourth place and Antonio Turrisi (Italy) was pleased about his sixth place. Special respect applies to the casinodirector Hannu Jokipaltio of the Casino Ray in Helsinki who insisted on being present with all final tournaments and to congratulate each placed finalist and present personally the gains. Up to today the ISA-CASINOS hasn’t seen this and would like to express thanks in the name of many pokerplayers that he showed his respect by this gesture also opposite the pokerplayers. A special praise is due to Martti Sillanmaki and Jyrki Sinisalo for the disciplined and outstanding organization of the tournament and the Award. This was also appreciated and thanked by the active participation of the pokerplayers. From all over Europe and Russia traveled the players in order to participate. Well-known great men from England, Switzerland, Finland, Austria, Sweden as for example, Simon Trumber, Marcel „The Award“ Luske, Nic Sceremeta, Bruno Fitoussi, Johanna Pönniö, Thomas Kremser, Hans Pfister, Antonio Turresi, Ivo Donev many players from St. Petersburg and Moscow like Alex Kravchenko met at this tournament. Also Holland Casinos Amsterdam was represented by ist manager Peter Voolstra, from Austria by Mr. Melchert, from Saint Petersburg pokermanager Stolbovsky Sergey with Julia Kuzmich and managers from the Taleon Club of Saint Petersburg. 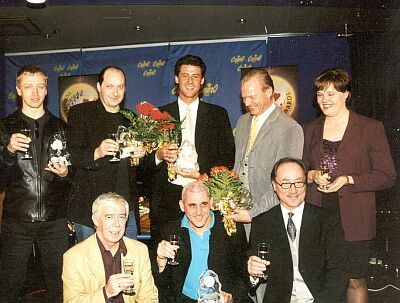 The high point however was the European Poker Award 2001. This moved for hours the whole tournament happening into the background. Martti Sillanmaki presented to all the candidates in the different categories. Closely packed was the area of the Casino Ray by the guest and the present pokerplayers and their companies. One could formally perceive the suspense as the candidates were called and again introduced to the pokerworld. Also the candidates were very nervous, because this honor was something special in the entire pokerworld. On could say, it was the Oscar in the player scene. Nic Szeremeta, plublisher of the magazine Poker Europe, the father of this idea, which was then taken up by the Casino Ray as sponsor partner and put into practice, was local and beside the candidates and watched just as strained and easily nervous. The rookie of the Year became Alex Kravchenko from Russia. Full pride and joy he received under applause of the present ones his award and his flowers. The award for the individual performance of the year went to Thomas Kermser from Austria (CCC-Vienna). Also here large rejoicing for the pleasant tournament conductor who had really earned this honor and took it also lucky. His speech showed that the jury and those who had nominated him with their voices had selected the correct man. His speech was an appeal to all pokerplayers to stand up still more positively for the entire pokerscene by tournaments. The [key:ISA] Casinos congratulated to him locally and was pleased with him. This shows which value also personalities from our region also have the entire European pokerscene international. Simon „Aces“ Trumber from England was the radiating winner and became the Poker Award as an excellent pokerplayer who had furnished the best performances in the tournaments. His statement was:“ Who wants to sing and dance with me now?“. Also he thanked all participants and guests and was pleased that from completely Europe and the neighboring countries all had appeared numerous. 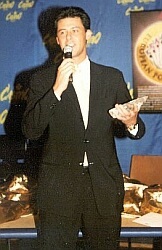 Personality of the year became Pascal Perrault from France. His joy and surprise were to be regarded. Under the applause of the guests he thanked in all public his girl friend Lucie who wished him luck with all tournaments and always accompanied in her thoughts. He dedicated this high honor to her and thanked all for this selection. Player of the year became Marcel „The Award“ Luske under loud hello calls and much applause. He got the pointed name which we inserted also here „The Award“. This was because of the fact that he was nominated in all categories and recompenced with much applause with each call of his name. The popular pokerplayer who made all hornour fot this pointed name, captivated not only by his ability in the tournaments, but also by his occuring in the public in all casinos of the world. In his hometown Amsterdam was and is he the absolute local matador in the Holland Casinos Amsterdam. Everywhere he is gladly seen and estimated. 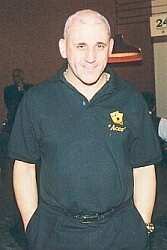 His openness, his occuring and his application for the poker game made him the player of the year 2001. Not for nothing he is also the captain of the poker team in the Netherlands. The ISA-CASINOS congratulated also to him locally and was pleased with him about this great victory. All in all it was for the 10th anniversary of the Casino Ray , under the line of director Hannu Jokipaltio and his poker managers Jyrki Sinisalo, Jukka Räsänen and Ari Vyörykkä, as well as Martti Sillanmaki, an outstanding performance to present this tournament and the Award in this style. The ISA-CASINOS congratulates all winners.